Property 15: New and fully furnished apartment! Calm and relaxation guaranteed! 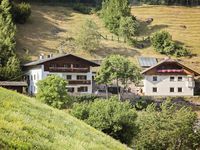 Bright Accommodation In A Traditional Mountain Village, Between Pine Forests & The Dolomites, Just 5 Minutes From The Best Italian Ski Slopes. 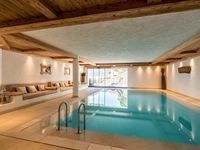 Property 31: Bright Accommodation In A Traditional Mountain Village, Between Pine Forests & The Dolomites, Just 5 Minutes From The Best Italian Ski Slopes. We were a mother and daughter staying at Casa Sassella in a one-bedroom unit. Barbara was able to answer any question we asked her. She recommended Restorante Trubladel in Ortisei. She even phoned to make a reservation for us. She helped us with bus connections in town. She explained how to get to the shopping area of Ortisei on foot. Accommodations were very clean. We particularly enjoyed the saunas, pool and outdoor hot tub. The views from our balcony and the hot tub were superb. My daughter&rsquo;s comment was &ldquo;I love the smell of pine when I go to sleep at night&rdquo;. Highly recommend Casa Sassela. Carmen and her husband is very friendly. The apartments are clean and comfortable. By the night you can see stars through panoramic windows on the ceiling.